Are you ready to join the ultimate data competition? The virtual qualifier contest for Iron Viz Europe is officially open! The theme: energy and sustainability! Submissions are accepted until April 7th, 2019 (11:59:59 p.m. British Summer Time). For more information on prizes, rules, and participation instructions, see the contest page. Rising sea levels. Stronger hurricanes. Increasing temperatures. We’re seeing the effects of climate change, yet many countries are still hesitant to adopt sustainable forms of energy. While Europe is at the forefront, climate experts need help making their case. It’s not because we lack proof— climate science is saturated with information. But with all this data, climate experts struggle to find the stories that will resonate with the public and convince policymakers to embrace sustainability. Climate experts are partnering with data storytellers like you to help make sense of all this information. They need your help to transform raw data into meaningful stories that spark action— what story will you tell? The EU Emissions Trading System (ETS): Data on the allowances and emissions of greenhouse gasses in the EU. You can download the raw data or export the data from the ETS dashboard. Definitions for field names can be found here. Interactive data viewers provide information on a variety of topics, including ‘Energy.’ Click into any of the visualizations and download the underlying data in csv, json, and other file formats. Members of the Tableau community will determine the top 10 entries, then a panel of guest judges will select the three who will advance to the Iron Viz Europe Championship. Vizzes will be scored based on three criteria: Analysis, Design, and Storytelling. Please note, judges are not allowed to provide feedback on entries during the submission period. To ensure fairness, each entry will be judged by more than one judge and the average score will be used. Amanda Patist is a Tableau Ambassador and Manager of Digital Analytics at Adidas. She is also an alumnus of the Data School and Information Lab in the UK. In addition to working in data analytics, Amanda is a co-leader of Data+Women. Harpreet Ghuman is a Marketing Analytics graduate from the University of Maryland, currently residing in Baltimore. He has recently joined Ernst & Young as a Senior Consultant in the field of Data Analytics. He was also a finalist in four student viz contests. Chantilly Jaggernauth is a Tableau Zen Master and the Founder and CEO of Millennials and Data (#MAD). Through #MAD, Chantilly works to bridge the data literacy and analytical skills gap by preparing millennials to enter a data-driven global environment. In her day job, Chantilly is a Senior Data Analyst at Comcast. Jacob Olsufka works at Spotify as a Data Visualization Engineer, working with data scientists and user researchers to communicate product insights. He also serves as a co-leader of the NYC Tableau User Group. Jacob has been twice selected for the shortlist of the Information is Beautiful Awards, and was an Iron Viz finalist in 2017. 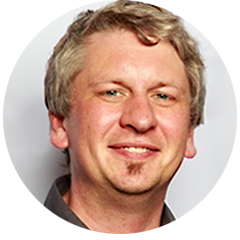 Curtis Harris is a Tableau Ambassador, the Head of Experience Analytics Engineering at Pluralsight, and author of The Marks Card. Curtis helps run the Workout Wednesday project, a weekly challenge designed to help Tableau authors improve their data skills. He was also the Iron Viz champion in 2016. Neil Richards was a 2018 Tableau Zen Master, is a Tableau Public Ambassador, and works as a Data Visualization Manager at the Higher Education Statistics Agency in the UK. Neil regularly speaks at user groups and Tableau Conferences and blogs in Questions in Dataviz. Daniel Caroli works as a business analyst at Care UK. A self-proclaimed Tableau-hobbyist, he takes part in community projects in his spare time and blogs about data viz and cooking. Daniel was also an Iron Viz Finalist in 2018. Moritz Stefaner is an independent data visualization designer, consultant, and researcher running his own company "Truth & Beauty." He has worked with clients such as FIFA, Skype, and DPA and has long-term consulting relationships with the OECD, the Deutsche Bahn and the Max Planck Research Society. 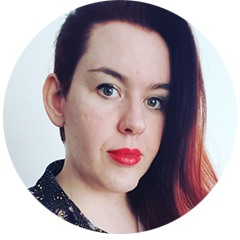 Sophie Warnes is a Senior Data Journalist and Consultant and works at the Office for National Statistics. She publishes a data journalism round-up newsletter called Fair Warning. She has previously worked with The Guardian, ITN, The Independent and the Wellcome Trust. Suzanne Dael is an expert in Climate Change Mitigation and Energy at the European Environment Agency. Suzanne uses climate and energy data to help policymakers, scientists and public stakeholders better understand and actively respond to changing climates and energy transitions. Stephanie Schilling is a Project Manager and Expert for Transport and Environment Reporting at the European Environment Agency. 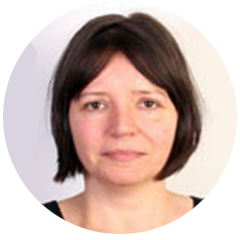 In this role, Stephanie helps the EEA in creating independent and accurate reports on energy, transport, and climate change. 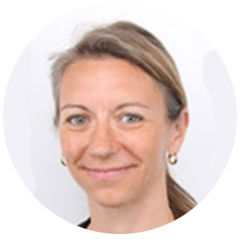 Stephanie’s role largely focuses on the monitoring and reporting requirements of the European Fuel Quality Directive as she is responsible for its data aggregation and dissemination for all 28 European Member States. Finalists will also receive the opportunity to compete onstage at Tableau Conference Europe! YOU could be Tableau’s next Iron Viz Europe champion. Create a Tableau Public profile. Get some data. Check out this blog post by Jacob Olsufka for tips on finding free and interesting data sets. Submit your viz. Publish your visualization to your Tableau Public Profile. Once published, submit a link to your published visualization here. Put your creativity and data skills to the test by giving Iron Viz a try! Win or learn— you can’t lose. Not a resident in one of the participating European countries, but eager to compete in Iron Viz? Don’t worry, we’ve just announced the dates for our global Iron Viz contest. Be sure to follow Tableau Public on Twitter and Facebook for contest updates. NO PURCHASE NECESSARY. Open to legal residents of Austria, Belgium, Denmark, Finland, France, Germany, Greece, Ireland, Netherlands, Norway, Poland, Portugal, Spain, Sweden or the United Kingdom who are validly registered users of Tableau Public, who have validly registered in the Contest, and who are at least the age of majority in their jurisdiction of residence at the time of entry. “Contest Period” is from 12:01 a.m. BST on 15/3/2019 through 11:59 p.m. on 7/4/2019. To enter, during the Contest Period: (a) visit https://www.tableau.com/iron-viz and register as a contestant in the Contest; (b) properly download the Tableau Public software and connect to any publicly available data set; (c) produce and publish a Tableau Public data visualization; and (d) provide the URL of the visualization to Sponsor at https://www.tableau.com/iron-viz. Three winners will be scored based on the following judging criteria (a) Design of Submission, (b) storytelling of Submission, and (c) Submission’s analysis of the Data Set on [insert date]. Winners will each receive (a) one conference registration to the 2019 Tableau Customer Conference Europe (ARV: $1,300); (b) double occupancy hotel accommodations for three nights (ARV: $675); (c) one round trip plane ticket to Berlin, Germany (ARV: $1,100); and (d) qualification to participate in the finals. Odds of winning depend on number and quality of eligible entries. Contest subject to Official Rules. Details and restrictions apply, so visit https://www.tableau.com/iron-viz for Official Rules. Sponsor: Tableau Germany GmbH.